sun. snow. snow. snow. sun. 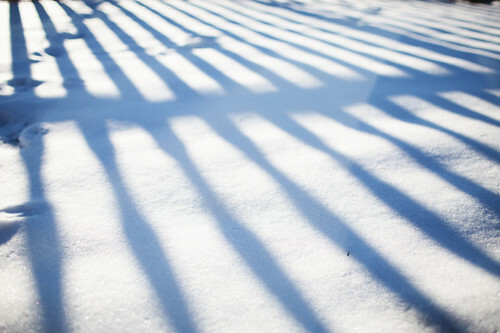 melty snow. Sometimes I just dump stuff in a pot and call it soup....so here's a soup that there isn't really a "recipe" for, but if you like to throw things together too, I'm sure you will figure it out easily. 1 onion, 3 garlic cloves, large handful roasted red peppers, 1 can black beans (drained and rinsed), 1 can hominy (drained and rinsed), 1 can diced tomatoes, 4 cups chicken broth, large pinch of ground chipotle flakes, small palmful of chili powder, s&p to taste. Top with avocado and cilantro. this cake is rich and fudgey with just a hint of coconut. you are so talented! beautiful pictures - wish i could eat that! That cake sounds amazing!I'm going to try it soon, definitely!! do you roast your own red peppers and keep them in the fridge or buy them from the store?! coconut milk in a CAKE?! ahhhh! hooray. everything looks extra pretty, sheena- as always! When I saw that cake....my eyes got big, and my mouth started to water! Chocolately goodness!! i am a new reader, and i am very inspired by your blog! i love your recipes, simple and healthy. and also i wanted to say i just completed my first ever week of running.EVER. my husband has always wanted me to run with him, and all i could think of was horrible memories of running the mile in grade school.. but the recent posts you wrote about running stuck in my mind. and i finally did it, and am feeling better already! 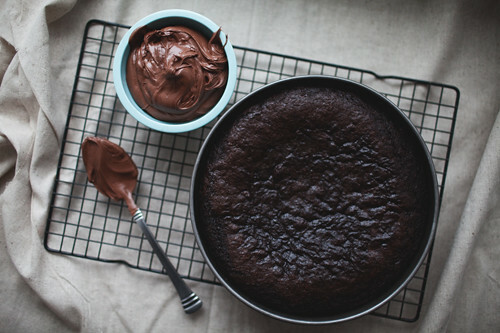 I've just stumbled across your blog by pure accident and 'oh my' the cake, the pictures....I'm drooling. I was happy to jump down to the comments and find an even mix focusing on both the soup and the cake. I thought I'd be the only one to comment on the soup after those cake photos! I wanted to say that this is exactly what I'm looking for. 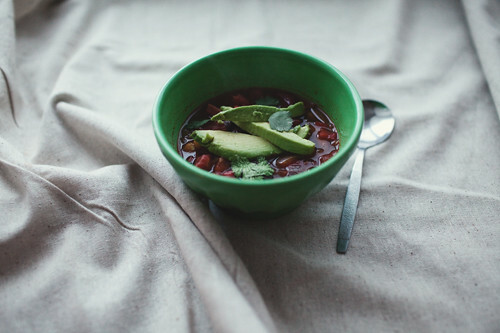 We're having a Southwestern black bean and veg salad tonight, which will leave leftovers of beans, avocado, radish; couple this with our love of posole + a pantry ever-stocked with hominy, I can use up everything in one (delicious) fell swoop! your blog makes me so hungry....and happy too! Ok Sheena--- is that cake as delicious as it looks? YOu didn't rave, but it looks SO good to me... is it because I'm trying desperately to avoid treats starting... today... at least 'till the weekend. Maybe I'll bakes this next weekend. yuuuuuuuuuum. I just LOVE your eye for photography. So very lovely! I just made this cake and it is SO crazy good! I made a different frosting to go with it, but I still love it. Thanks for the recipe! really valuable post i have got here Thanks a lot. Basketball appropriate exercise good for you, we offer the most complete basketball shoes. Thank you for this inspiring article very good to read. No doubt you are doing great work for this site keep it up. Great! you put all important points and things is very good in your blog post is very informative. thanks for sharing..